Prediction of eruptions is a long — standing, but unfulfilled until now, the dream of seismologists all over the world. Modern technology alerts can give people a few precious minutes, but it is sometimes too little. Now, however, if scientific studies will bear fruit, they will be able to warn the population about danger for a few days, or even weeks before the crash. Last month researchers from the National Autonomous University of Mexico hoping to reach the top Popocatepetl, 5400-foot volcano near Mexico city, to install monitoring equipment on the top of its crater. But “El Popo” as it is affectionately called by the locals, scared of their emissions of ash and sulfur dioxide — as it is paradoxical, but that’s exactly what scientists hoped to measure. To install the sensors they have chosen point on the lower slopes of the mountain, but next year the team hopes to climb to the top. Thanks to the data that can be obtained through observation of the crater, in the future, seismologists will be able to much more accurately predict eruptions. The growing amount of monitoring data now shows that a sharp jump in the ratio of carbon to sulfur gas spewing from the crater of the volcano, can provide from several days to several weeks odds for the government and local population to the impending eruption. This is evidenced by three recent studies conducted in the framework of the Volcano Deep Earth Carbon Degassing (DECADE) under the control of the Carnegie institution for science, USA. Their results suggest that the monitoring of the geochemical composition of the gases will soon connect the two mainstays of modern forecasting — tracking of swellings of the earth’s surface and the increase of tremors before the eruption — that together they formed a single, coordinated system, as explained volcanologist Tobias Fischer of the University of new Mexico in Albuquerque and Chairman of the project DECADE. 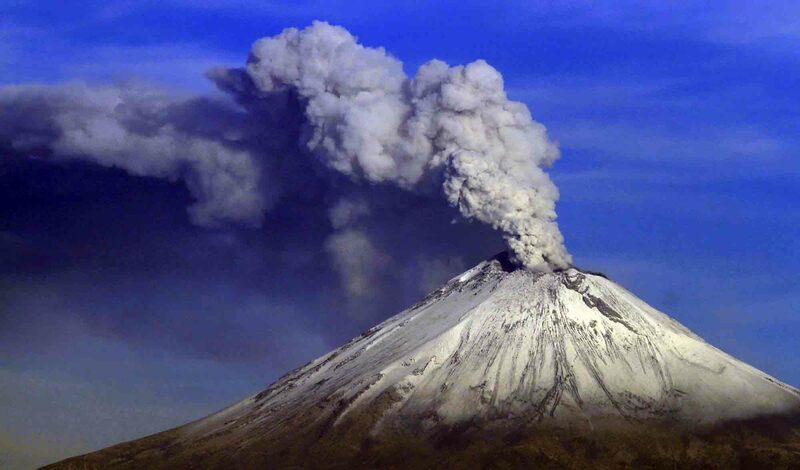 The idea of the analysis of volcanic gases exist for many decades. Scientists have identified a change in the ratio of carbon to sulfur (C-S) as the most illustrative for collecting metrics. Theoretically, it can serve as a signal that soon will happen eruption. The ratio changes because the CO2 dissolves in the ascending magma flows in the form of bubbles at a depth of 10 or more kilometers, when the pressure drops. Enriched with sulphurous gases, unlike carbon dioxide, remain in the melt at more shallow depths. Thus, when magma rises to the threshold value, the lowering of C-S, but Fisher says the data in order to be sure of this theory, now little. Currently, scientists intend to install as many ground-based tracking sensors on volcanoes around the world to gather the necessary information and to confirm the hypothesis. The problem is that active volcanoes spew ash and mud, and the introduction of even small quantities of foreign substances on the solar panel or inside equipment can cause damage to expensive equipment. So the researchers will be to improve the technology of data collection and analysis to achieve success.